The NEM foundation has setup an innovation centre in Kuala Lumpur in 2017. 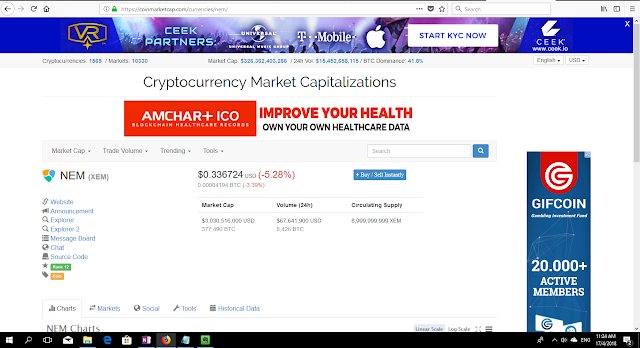 The foundation, which was incorporated in Singapore, is largely based on the financial activities of the XEM coin which at present time has a market cap of approximately USD 3 billion. The foundation has cashed out approximately USD 40 million to invest into the blockchain and smart assets community where many other innovation centres will be setup around the world to serve the roles of accelerator, incubator and coworking space for the NEM blockchain platform. NEM is another blockchain like the Bitcoin; essentially, both are different in terms of protocol which defines the way blockchain nodes communicate with each other’s. Blockchain is a method of storing data where each record is stored in a unit known as block and chained up together in sequence hosted by a node (computer). The blockchain is a new method of storing data compare to the conventional relational database which stores data in tables of rows and columns. In retrospect, all blockchain protocols inherit common core attributes which enforce the ‘database’ to be decentralized, trustless, encrypted and non-tampered data. The Bitcoin was created to serve the purpose of a decentralized currency whilst the NEM protocol was created for smart assets. Smart assets are essentially data assets stored in the blockchain other than currency data. Cool features such as namespace (for identification of application domain), mosaics (smart assets), 2-tiered Architecture (full-fledged client server model) and reputation (for block processing). The NEM blockchain platform is positioned as a rapid development platform for blockchain applications targeting the enterprise space. The use cases include decentralized payment platform, decentralized loyalty program, trusted identify management for KYC/AML applications, tokens, IOTs applications etc. Find out more about development on NEM platform. 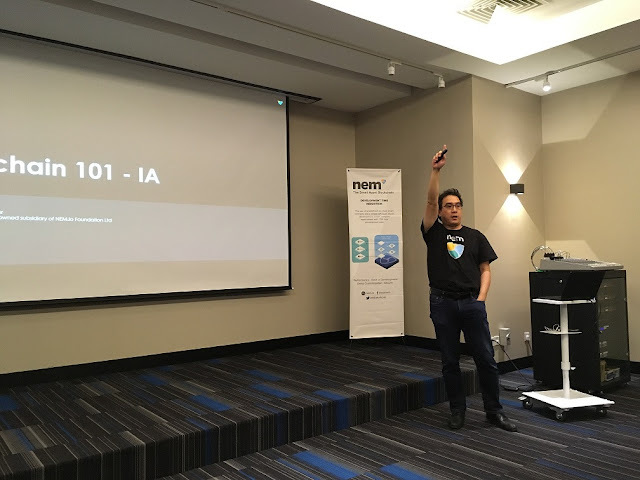 This event was organized by Internet Alliance (IA), this is the first workshop (101) on Blockchain to be organized by IA. The NEM innovation centre is a member of the Internet Alliance (IA) which is a non-profit organization formed to represent the major pool of Internet service providers – members include web hosting, data centre, payment gateway, cloud, web platform and e-commerce providers etc. Special rates for all events organized by IA. For more info, stay tune to Internet Alliance or the Facebook page. NEM foundation is also currently hosting a USD 5 million start-up fund. 699, Jalan Damansara, Taman Tun Dr Ismail, 60000 Kuala Lumpur, Wilayah Persekutuan Kuala Lumpur. Thanks for the comment on browsеr compatibility issսes, will look into it.